On the last Saturday of August we set off early from Ennis for the midlands. We'd booked in for the Silver Medal Tour at the Kilbeggan Distillery Experience at Kilbeggan, Co. Westmeath. 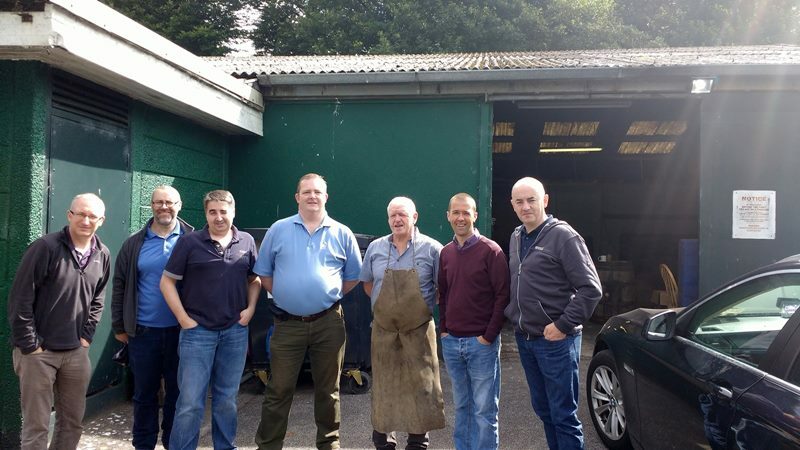 We arrived with just enough time for the lads that missed breakfast to grab a snack in the Kilbeggan Distillery Café. The museum tour was very interesting. Pascal was our tour guide. 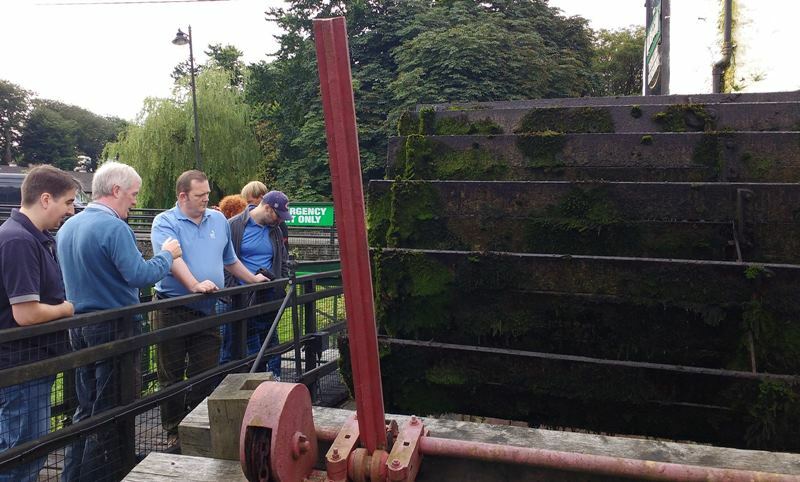 We got to see the working water wheel, powered by the river Brosna. They have an impressive steam engine on-site as well. It's functional, but only gets fired up a couple of times a year. Outside, they have an old column still and a couple of old pot stills. Along with the museum, we also saw their functional, craft-sized distillery. They have a single mash-tun and a number of wash-tuns. 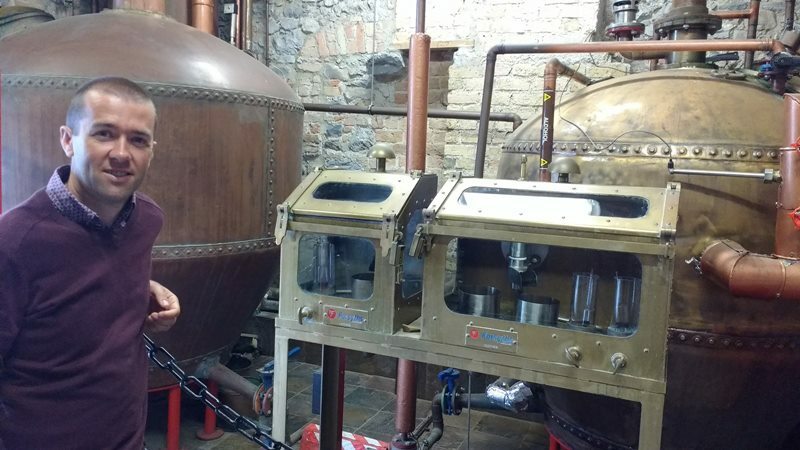 For their double distillation, they have two little copper pot stills, one of which is the oldest operating still in Ireland and came from the Tullamore distillery that closed back in the 50s. 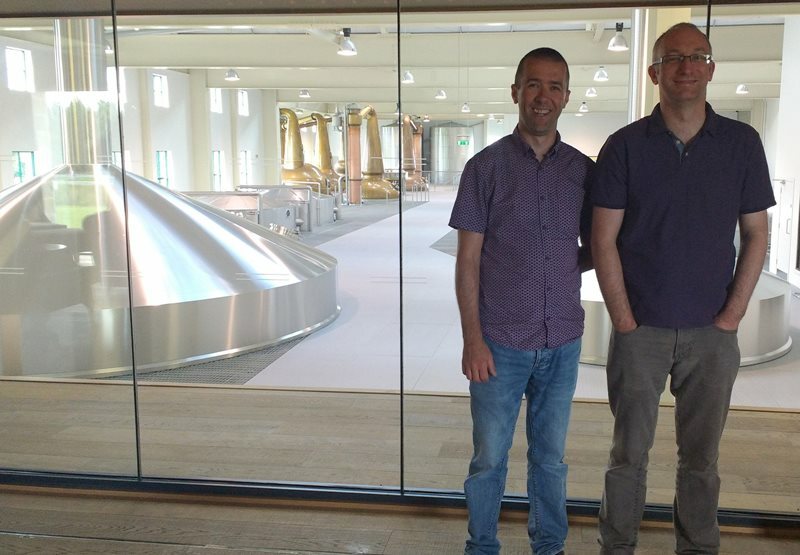 When we visited the distillery it was disappointing to learn that operations had been scaled back to two days a week. Our Silver Medal Tour ended in the tasting room, where a tasting platter of three whiskeys was poured. A miniature tasting glass was given to us to take home as a souvenier and a miniature Kilbeggan whiskey for the designated driver. After our Kilbeggan tour we were treated to a demonstration of the dying craft of the Master Cooper. 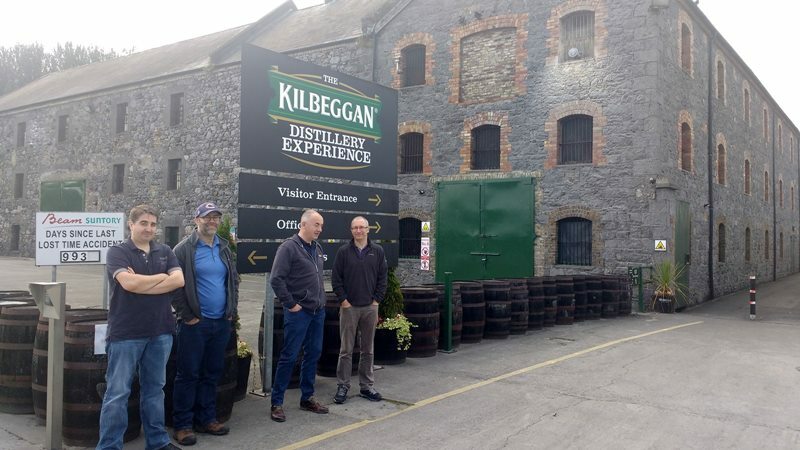 The Nephin Cooperage operates across the road from the Kilbeggan Distillery Experience. The cooperage is open to the public for demonstrations during the week. 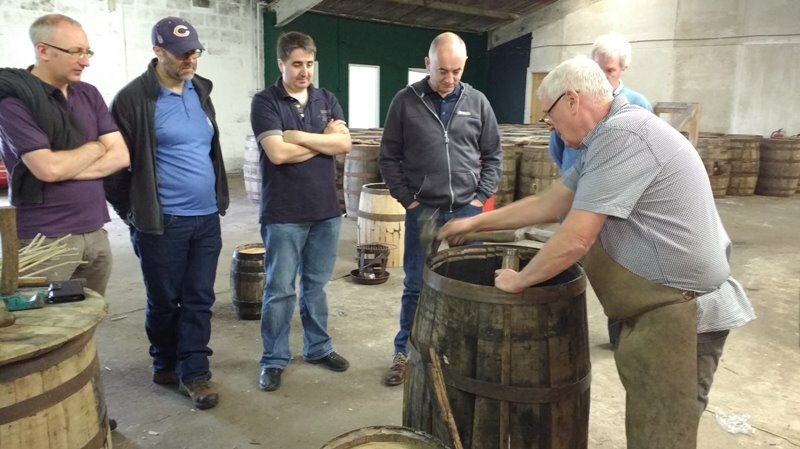 Thanks to Jude Davis, Master Cooper John Neilly came down to the cooperage on the Saturday especially for our group. John is a true gentleman and entertained us for over an hour. We watched as he took a bundle of staves and turned them into a barrel before our very eyes. The café at the Kilbeggan Distillery provided us lunch before we headed off to tackle Tullamore where we had a 2 hour tour and tasting lined up. We met our Tullamore brand ambassador, Kevin Piggott who was fantastic. Before we got stuck into the distillery he had us dress-up old style and pose for a photo. Not sure whether it was for Kevin's entertainment or ours, but here is the evidence! 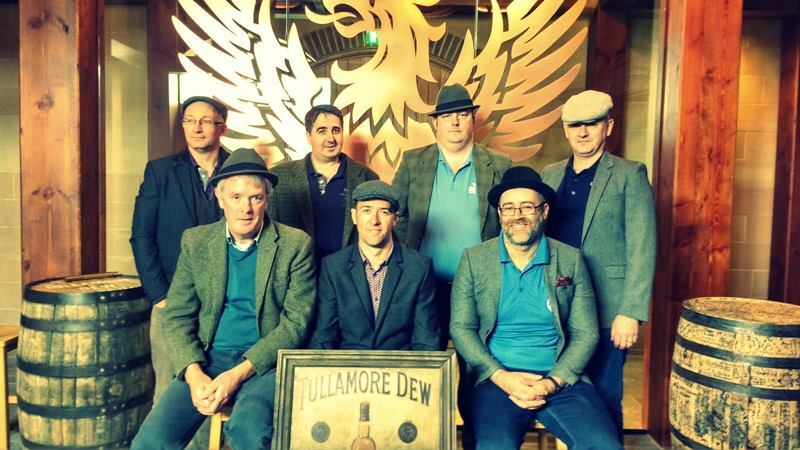 The whole facility at the new Tullamore DEW site really is impressive. After our photo shoot, Kevin led us up the stairs to the corporate entertaining room which was very plush! From here, we got our first sight of the distillery floor. Again, a very impressive sight. We took a walk out on the distillery floor and over by the four massive stills. The heat off the stills was stifling. From there we went back to the bar and started our tasting. 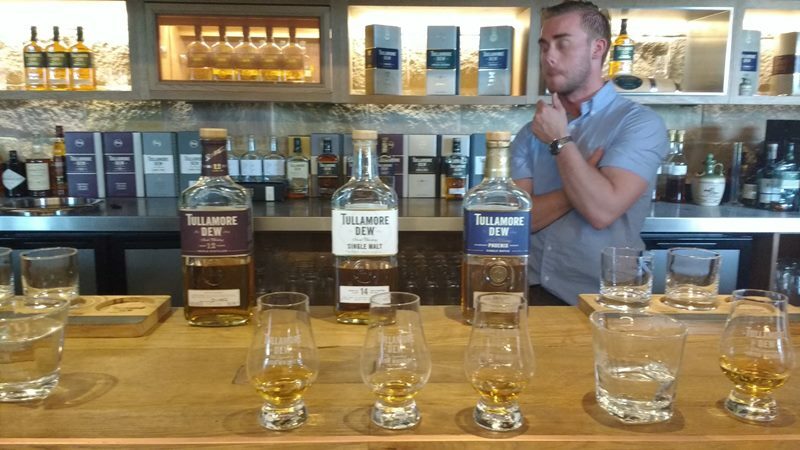 Kevin poured several different Tullamore expressions for us and gave us all an insight into how they were crafted. 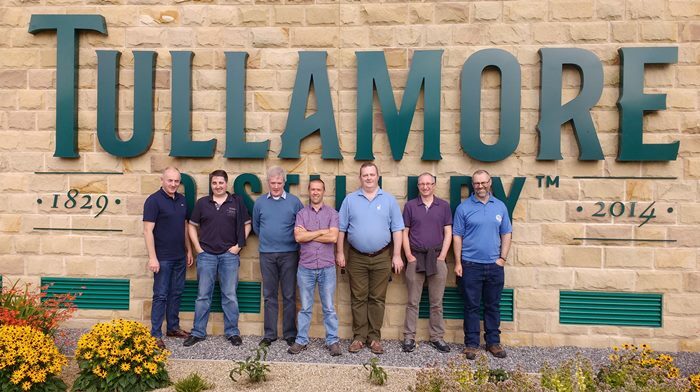 We wrapped up our Tullamore Distillery experience with a visit to the Visitor Centre in the middle of town. We had a gorgeous bite to eat at the Acorn Restaurant - we would strongly recommend the meatball starter - before washing it all down with a few whiskeys at the Brewery Tap bar! Frank at the Sea Dew Guesthouse put us all up and gave us a hearty breakfast before we headed back to Co. Clare.